Just a quick one while I look at the madness that was the 2014 MotoGP race at Aragon. 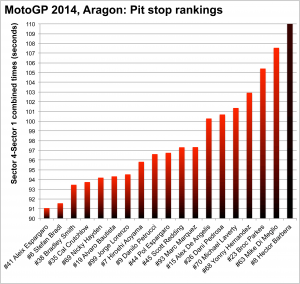 This is a quick look at pit stop times for each rider and their rankings. First up we have the rankings. 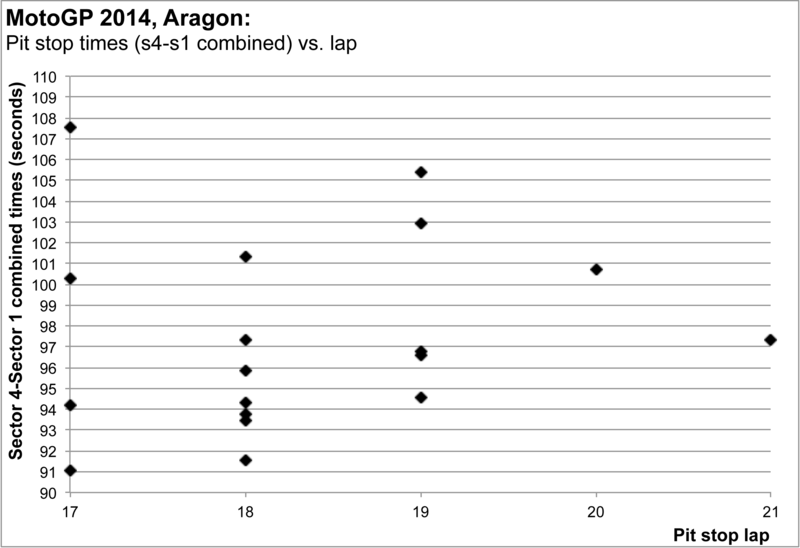 Aleix Espargaro ended up with the fastest combined sector 4 and sector 1 time, which includes the time in the pit lane. Hector Barbera had a hugely long stop as he only had 1 bike available and had to swap wheels. Of note is that Marc Marquez didn’t end up with a blistering fast time, although he would have been riding gingerly back to the pits after crashing due to staying out on slicks too long. If Cal Crutchlow had stopped 2 seconds faster, he would have easily beaten Aleix to 2nd… this is the difference between a slightly tardy and a speedy bike swap. 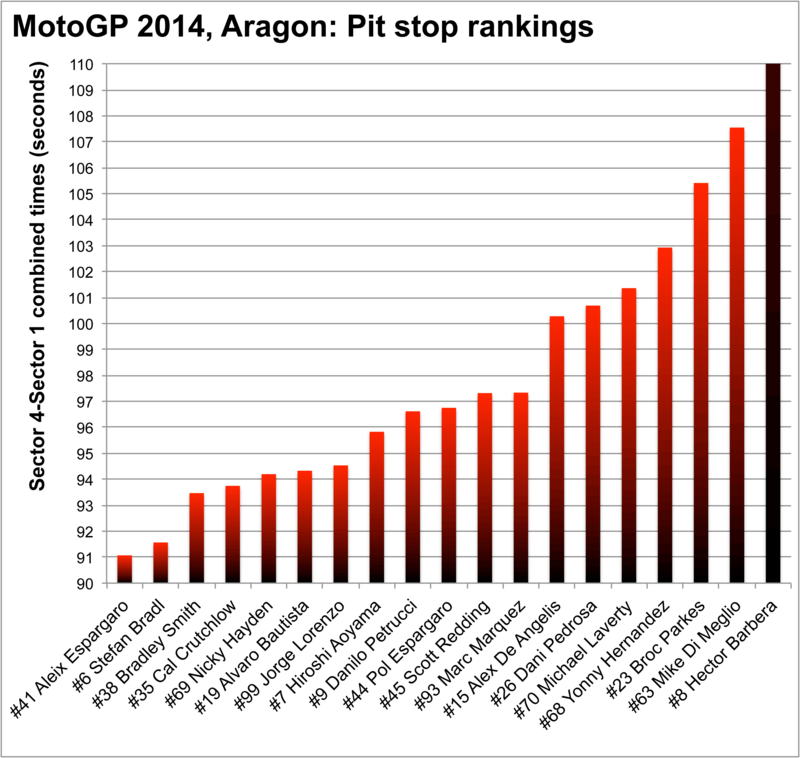 Of interest for me was if there was a trend of slower pit stops the later the riders stopped. This didn’t really seem to be the case. Maaaaaybe there was a slight trend as the wetter the track got, the slower the riders had to approach the final few corners before negotiating pit lane but still, there is very little evidence for a major difference. Certainly the spread due to how gingerly or aggressively the riders took it on their in and out laps, and their speed swapping bikes, has more of an effect than the increasing amount of rain on the track.